YX-Y44 electric kitchen silent Rotary Switch Food Blenders are one of the Electric Food Blenders that we are very proud of. 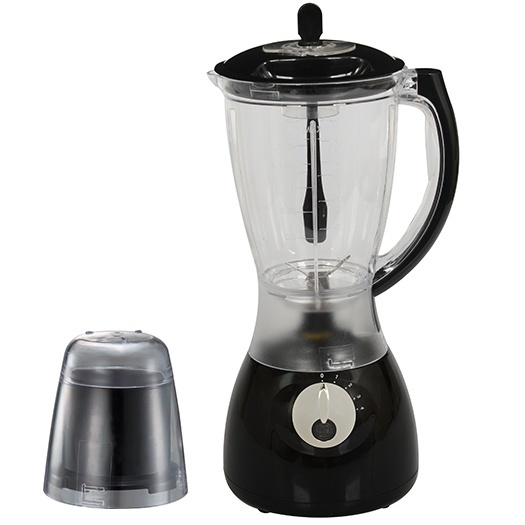 This 1.5L Plastic Jar Food Blenders have gained CB, EMC, CE, LFGB, RoHs and LVD cetrifications, and its quality is in accordance with the certifications. So we have no problem to sell them to all over the world. As far, we have sold our YX-Y44 Baby Food Blender with grinder to European countries such as Germany, Netherlands, Italy, Poland, Greece, etc. and Mid-East, Suoth America and so on. If you are interested in our Food Blenders, pls just let us know. Looking for ideal Best Small Food Processor Blender Manufacturer & supplier ? We have a wide selection at great prices to help you get creative. All the Electric Kitchen Food Blender are quality guaranteed. We are China Origin Factory of Kitchen Silent Food Processor Blender. If you have any question, please feel free to contact us.